Remember how Play-Doh smells? U.S. trademark officials get it. Natural smell of a salted, wheat-based dough. Behold, the newest trademarked scent. Hasbro became the latest company inducted into the small club of brands with a scent registered by the United States Patent and Trademark Office. As of Friday, the Play-Doh scent trademark is one of 13 active registrations, according to a spokesman from the patent and trademark office, joining the ranks of a strawberry-scented toothbrush and ukuleles that come with a whiff of pina colada. Invented in 1956, Play-Doh has wedged its way into children’s fingernails and living room carpets every since. Now, the company has convinced the U.S. trademark office that consumers across the country specifically link the Play-Doh smell to Hasbro’s neon modeling clay. That alone is a squishy feat. As for patents, scents can be patented and are generally fall into categories for cleaning and perfume compositions. Scents, colors and sounds — like the NBC chime — can be trademarked, so long as the companies or individuals behind them can prove that consumers have strong associations with them. Companies can provide surveys and studies demonstrating how consumers link certain smells or sounds with a particular product. Still, trademarks like logos or images — like the Nike swoosh — might carry those ties more obviously, Wagner said. According to the patent and trademark office, other active trademarks for scents, smells, odors and fragrances include the “flowery musk scent” used in Verizon stores and a bubble gum scent used for shoes and flip flops by the retailer Grendene. Cherry, grape and strawberry scents were trademarked for lubricants used for land and water vehicles by Manhattan Oil. And jewelry company Le Vian trademarked a chocolate scent for its stores. 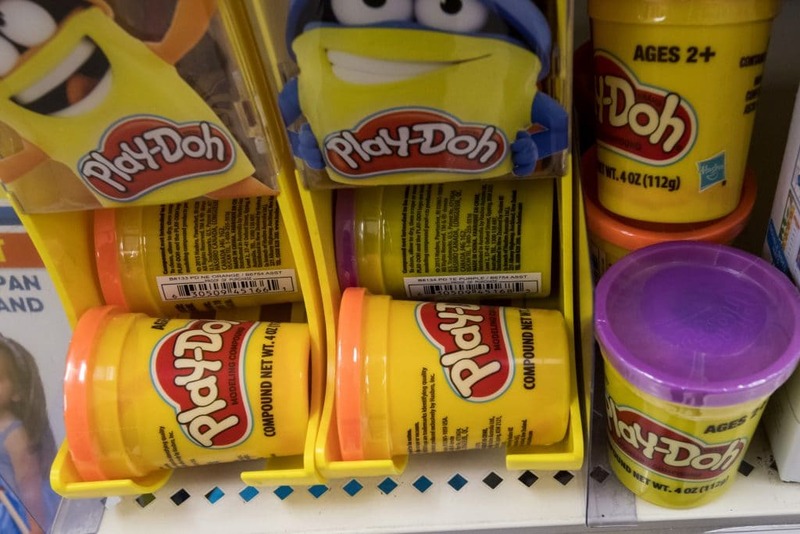 Wagner said Hasbro’s trademark could be used to cut down confusion for consumers if other companies or individuals make products with a scent similar to Play-Doh’s. And it could provide Hasbro with an edge over competitors that sell toys “that are similar in function to Play-Doh, but are not called Play-Doh,” Wagner said. Before the scent’s trademark, Hasbro debuted a Play-Doh fragrance in 2006 for the toy’s 50th birthday. The “eau de Play-Doh” rolled out just before Mother’s Day and came in a clear, 1-ounce spray bottle. But not all one-time toddlers could get behind the Play-Doh scent. Rachel Siegel is a national business reporter. She previously contributed to the Post's Metro desk, The Marshall Project and The Dallas Morning News.